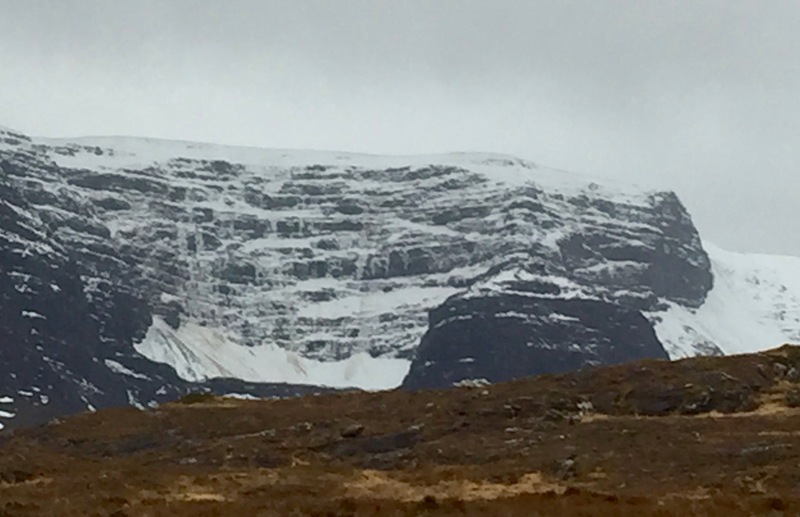 SAIS Torridon Blog » Storm Erik persists! 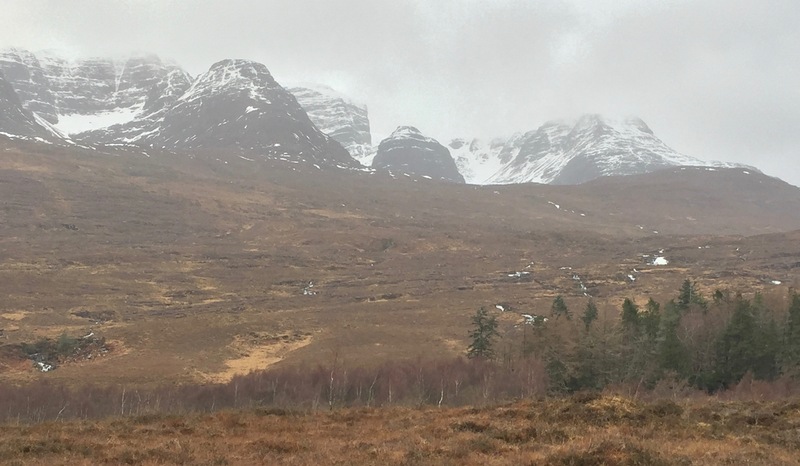 A wet, windy and rather wild day here in the glen. The burns and rivers are in spate and there is a heavy thaw going on. Around 500 meters or so the snow cover remains reasonable enough and some ice lines seem to be hanging on. The freezing level is lowering a bit tonight and the winds are turning Northerly later tomorrow. 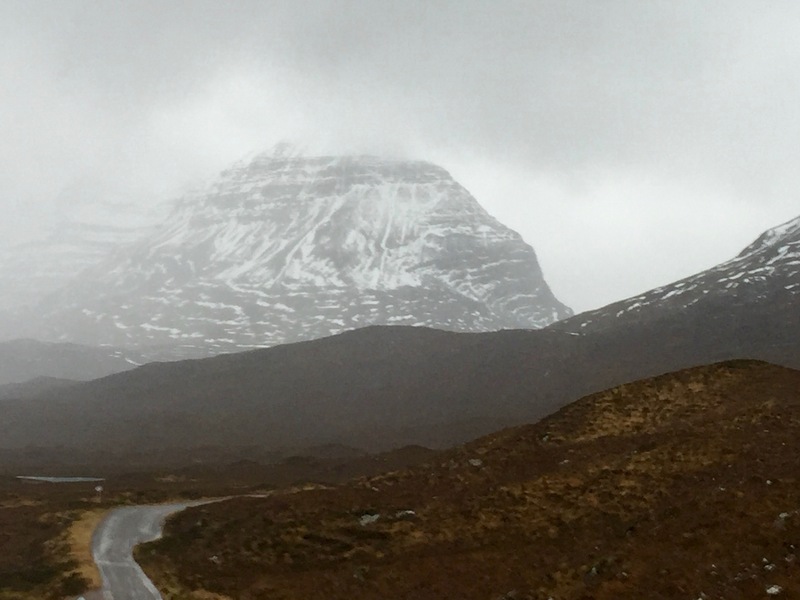 Liathach first thing this morning, gale force winds, opening the car doors was a serious hazard. Some ice lines are looking not so bad, but there were serious debris below. 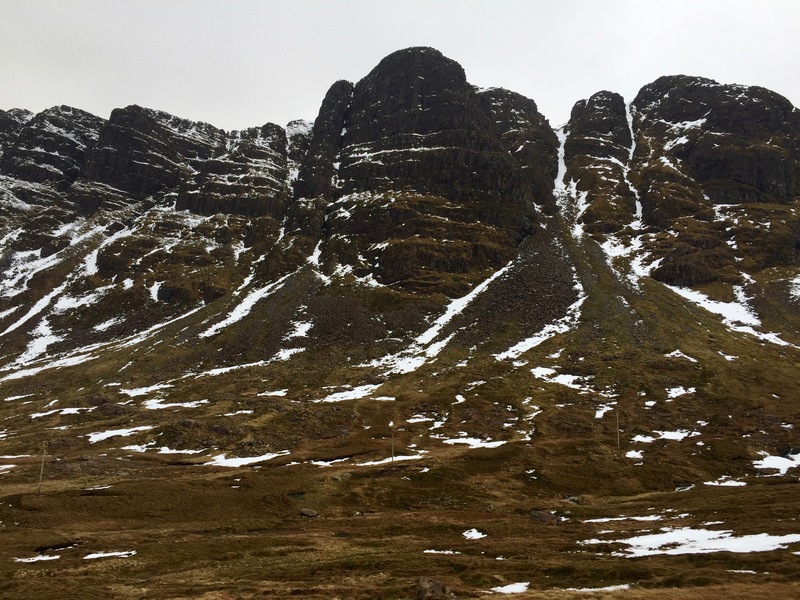 Crags are a bit bare over Applecross way. These are the buttresses of Meall Gorm. 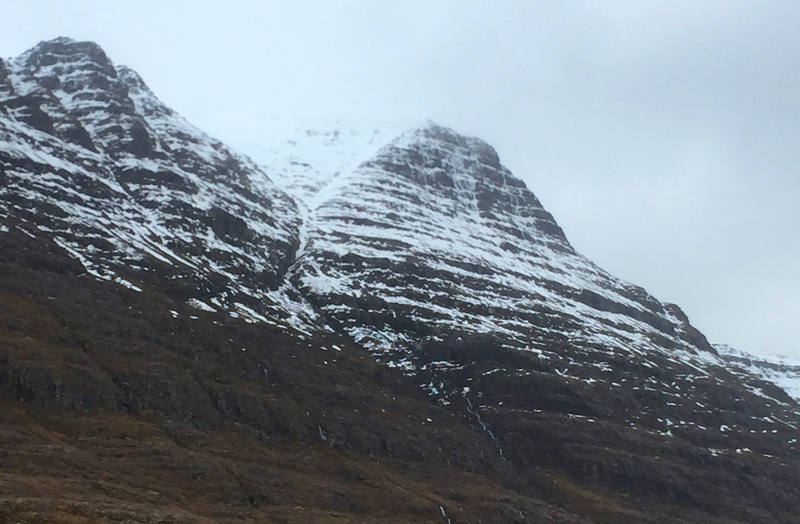 It would have been a bit blustery high on Liathach today!